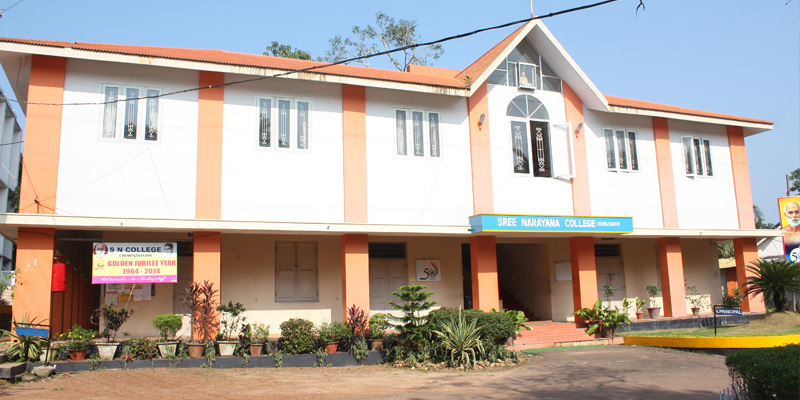 Sree Narayana College, Chempazhanthy was established by the Sree Narayana Trusts, Kollam, in memorial obeisance to the great social reformer and seer, Sree Narayana Guru. 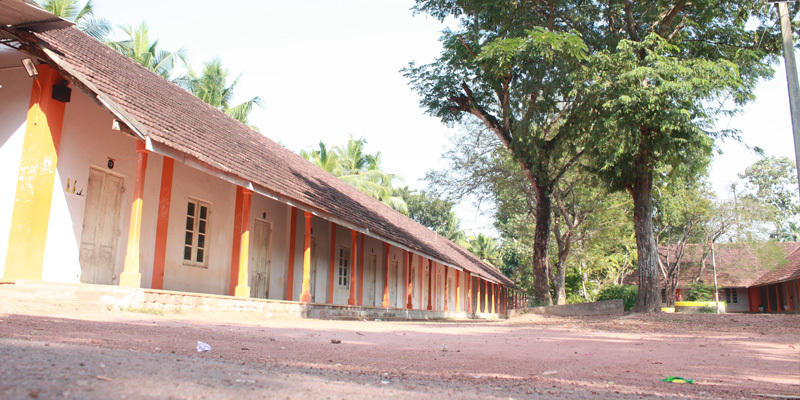 Chempazhanthy is a village of historical importance, as it is hallowed by the birth of the Guru (1855). It was the revolutionary vision of this great sage that metamorphosed the state of Kerala, which was called a lunatic asylum by Swamy Vivekananda, into one of the most progressive states of India. 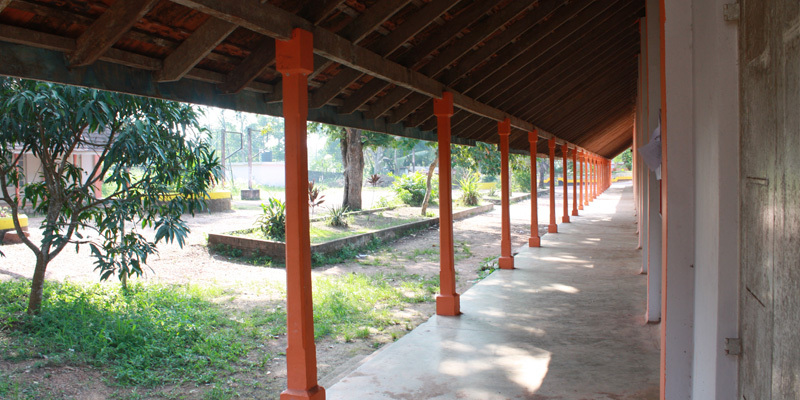 Chempazhanthy, the birth place of the Guru, is ten kilometers away from Thiruvananthapuram city. The Guru sowed the seeds for a radical change in the society of Kerala and launched a campaign against social evils and morbid traditions. The Philosophy and the reformatory of the Guru changed the lives of the downtrodden and marginalised people more than the activities of all other social reform movements in India put together. The Sree Narayana College, Chempazhanthy, situated in an undulating verdant campus of thirty acres, was formally inaugurated on 20 July 1964, by Sri. R. Sankar the then Chief Minister of Kerala. Prof. T.C. Rajan, the noted social scientist, was the first Principal. 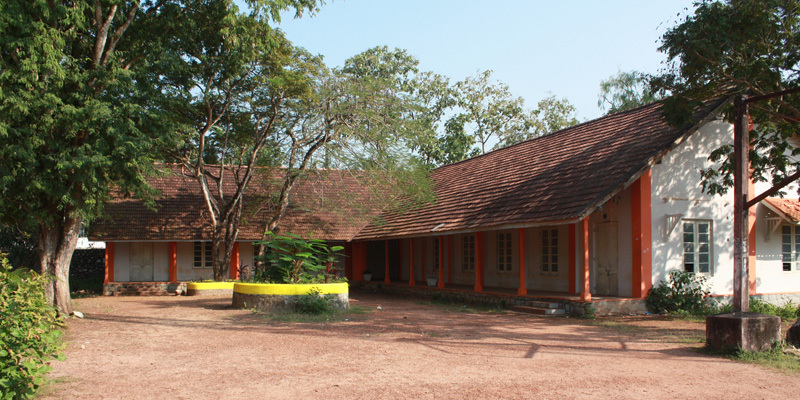 This college was established for providing educational opportunities to the young men and women of Kerala especially the members of the socially and educationally backward community. It extends its service to the members of the other communities also to the possible extent irrespective of caste or creed. The college imparts education and training to more than 2000 students every academic year by offering degree courses in History, Economics, Commerce, Political Science, English Language & Literature, Sociology, Psychology, Geology, Physics, Chemistry, Mathematics, Zoology and Botany. With the introduction of a post graduate degree course in History in 1982-83, the college was elevated to the status of a post graduate institution. This was followed by the M.Sc degree in Chemistry in 1998-99 and M.A. English in 2013-14. Keeping pace with technological innovations and knowledge at its frontiers, the institution undertook the computerization of all the departments, the general library and the administration. 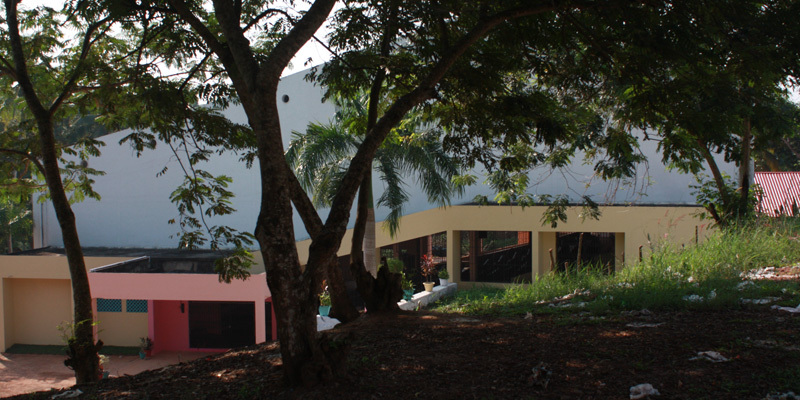 A well equipped computer laboratory with internet access, functions for the benefit of the students, teachers and researchers. Conscious of its inceptional obligation to imbibe and disseminate the revolutionary ideal of one caste, one religion, one god, the college thrives for the extirpation of communalism, sectarianism and provincialism. It stands for enlightenment through education and endeavours to mould a humane, intellectually accomplished, morally awakened and socially committed fraternity of young men and women. The college continuously strives to internalize and institutionalize excellence by improving the quality of its services and upgrading the available infrastructural facilities. 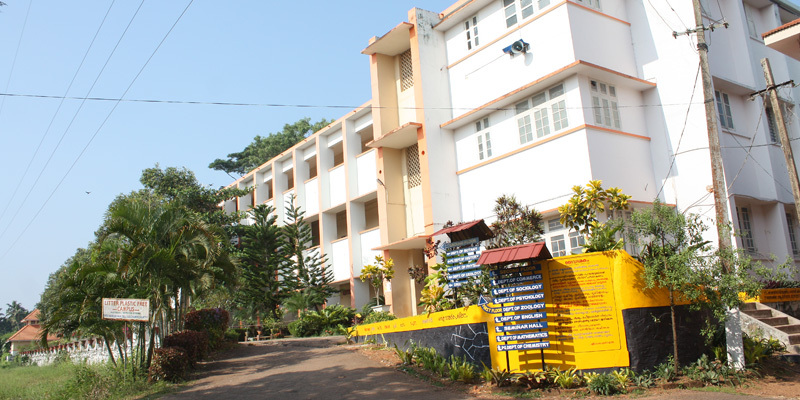 Sree Narayana College, Chempazhanthy was evaluated and assessed by the National Assessment and Accreditation Council, an autonomous institution of the University Grants Commission. The executive committee of the National Assessment and Accreditation Council awarded B+ level to Sree Narayana College, Chempazhanthy on the basis of its academic performance, infrastructure facility etc. The post accreditation period is marked with tremendous development in academic as well as creating career opportunities. This college is a centre of campus selection of various internationally reputed companies. The college stands for academic excellence, development of skills and character formation based on the philosophy of Sree Narayana Guru. Providing quality higher education in humanities, arts and science subjects. Efforts were made to provide value education to the students. Teachers are committed to the academic improvements and upliftment of the students. They follow tutorial ward system and have a closer contact with students. Teachers update themselves by organizing and attending seminars, conferences and workshops and by presenting and publishing papers. Teachers actively involve themselves in undertaking Major and Minor Research Projects, besides guiding Ph.D., scholars. As part of the Choice based Semester Course offered at the graduate level, elective Courses, Complementary courses and Skill-Based Courses are offered to students to develop their potentialities in various levels. Career Guidance and Placement Cell provides training to students on Personality Development and Soft-skill Development and prepare them with employable skills. All programmes of academic and non academic nature are planned for an over all growth of the student community. Our College having an experienced team of highly qualified, motivated and dedicated staff supported by infrastructural facilities is imparting meaningful and disciplined education to students. The main aim of the college is to create a group of knowledgeable and responsible citizens who would be an asset to the future society.